Gerard Brion took up the challenge of building a miniature model of Paris 15 years ago. With 18,000 hours of painstaking work logged, he has crafted a miniature city, known as Le Petit Paris, in his garden in Vaissaic in the South of France out of salvaged items like old concrete blocks, baby food jars and soup tins. 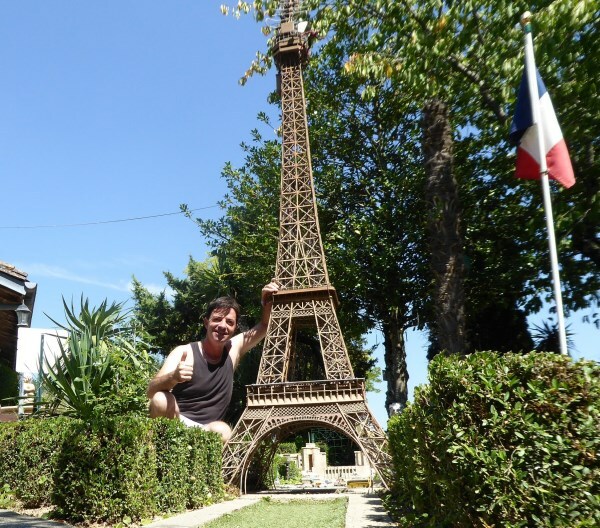 150,000 visitors a year experience over 40 Paris monuments, such as the Champs Elysées, Montmartre, the Seine River, and the Eiffel Tower on a 1:130 scale set in a French-style garden planted with 400 bonsais. 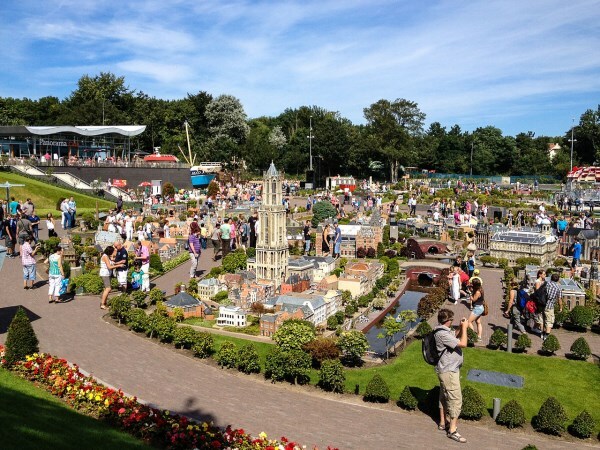 Madurodam is opened all year round. The canal houses of Amsterdam, the Alkmaar cheese market and parts of the Delta Works, all replicated in minute detail on a 1:25 scale. All is set in beautiful gardens. Windmills turn, ships sail through the harbor and trains are traversing the city on the world's largest miniature railway. Take a trip back in time with this 400 square feet model. Created in 1977 by 300 workers for the 60th anniversary of the Bolshevik Revolution, is a very detailed depiction of the USSR's capital. 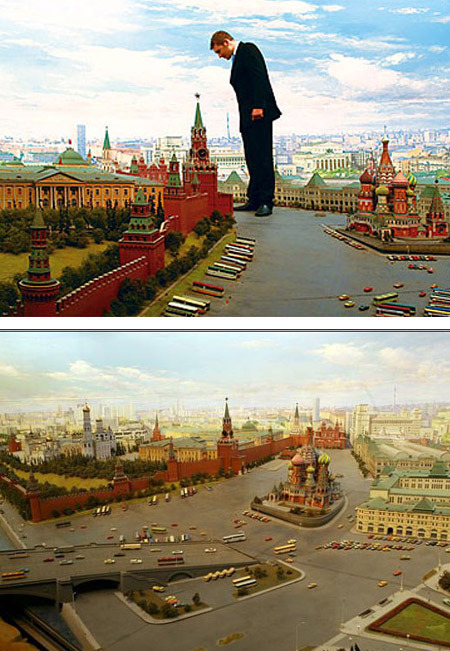 This scaled piece of propaganda by Russian artist Efim Deshalyt was designed to be visited and admired and ultimately to show that the Soviet Union's capital was more magnificent than any Western capital. It is currently for sale with an asking price of $3 million dollars. Artist Meschac Gaba imagined a city of sugar, and then built it. Models of some of the world's most instantly recognizable buildings form part of an exhibition called Port City at the Greenland Street gallery in Liverpool. 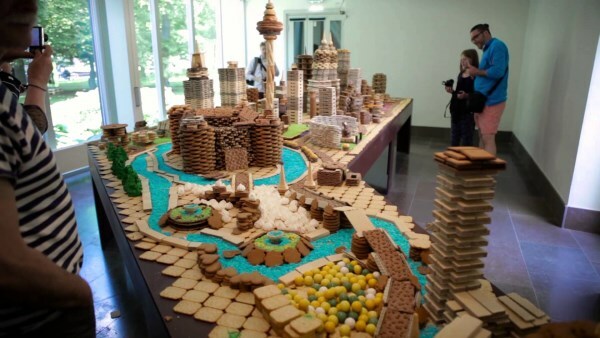 Chinese artist Song Dong used thousands of biscuits and sweets to create a replica of an Asian city complete with a stadium and a church. The cityscape, installed in London department store Selfridges, was comprised of over 72,000 edible treats including caramels and fruit shortcake. Once it was completed, customers were invited to dig in. 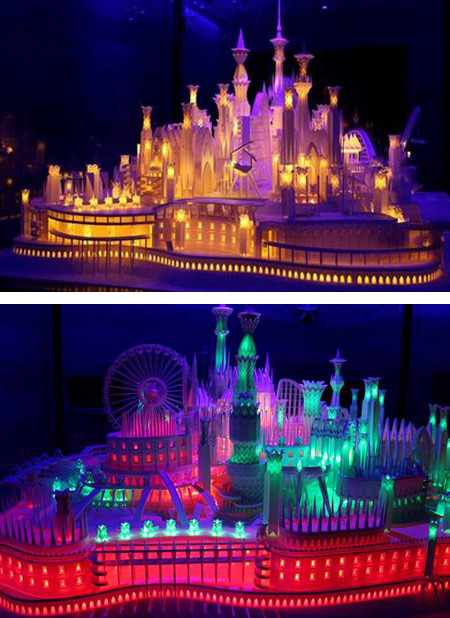 An origami artist from Japan, Wataru Ito, has spent four years crafting an incredible model city from paper. The entire piece - which measures 2.4m by 1.8m and is 1m high - has been crafted using only paper, which Wataru stuck together using craft glue, an art knife and a hole puncher. 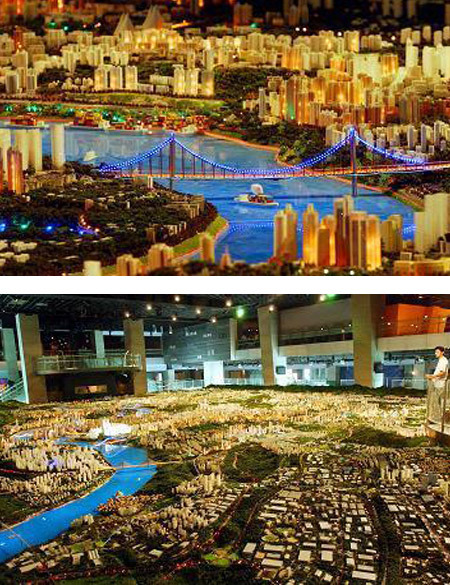 Located in the Roppongi Hills Mori Tower, a 1:1000 scale model of Minato-ku in exquisite detail is on display. 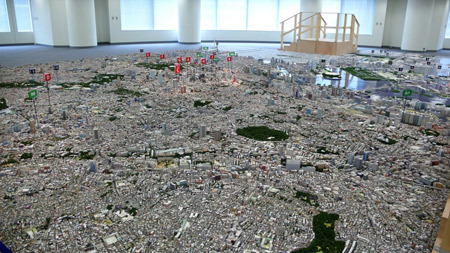 The scale model was recently used to show potential sites for Tokyo's bid for the 2012 Olympics. Each building was photographed by helicopter and by car with the composite image used for the model. The entire process took over 14 months. 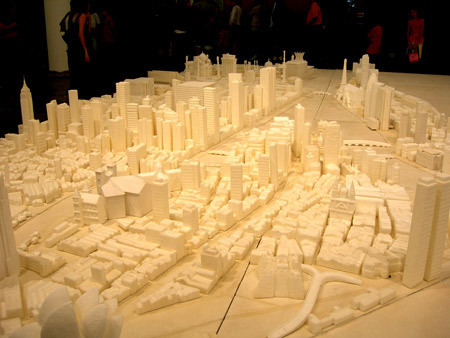 The model covers the area from Yoyogi Park, Shibuya, Azabu, Roppongi, Shinagawa and the man-made islands of Tsukishima and Kachidoki. 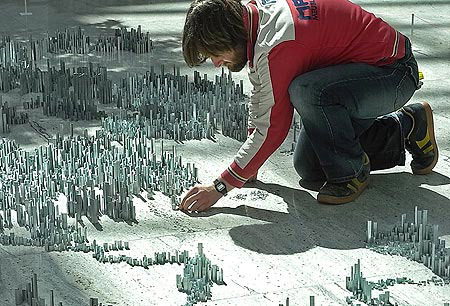 The artist Peter Root, from Guernsey, spent 40 hours standing 100,000 staples on end to build his latest work of art: New York-style miniature city made from staples. And he'll take just seconds to destroy it - by knocking it over with marbles.